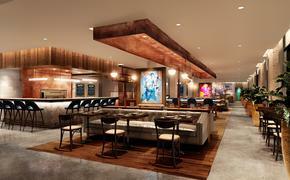 QT Port Douglas, sister property to QT Sydney and QT Gold Coast, situated in the gateway to Australia’s Great Barrier Reef, has opened the latest outpost of spaQ. The facilities at the new spaQ Port Douglas include five treatment rooms, with one dedicated exclusively to couples; a reception and retail area; full service male and female changing rooms; and a relaxation lounge. The menu features four different massages, a variety of facials and body treatments by USpa, an accessories section with a creative range of 30-minute add-on treatments, organic sunless tanning and four signature packages, including “The Weekend Warrior” and “The Plush Princess.” Rather than insisting on a pre-selection of treatments, spaQ encourages guests to reserve a block of time and not make a treatment selection until they have partnered with a knowledgeable therapist to determine the best treatments for their individual needs.